Extremely rare photograph showing Lou Gehrig, letting down his hair after winning the 1937 World Series. 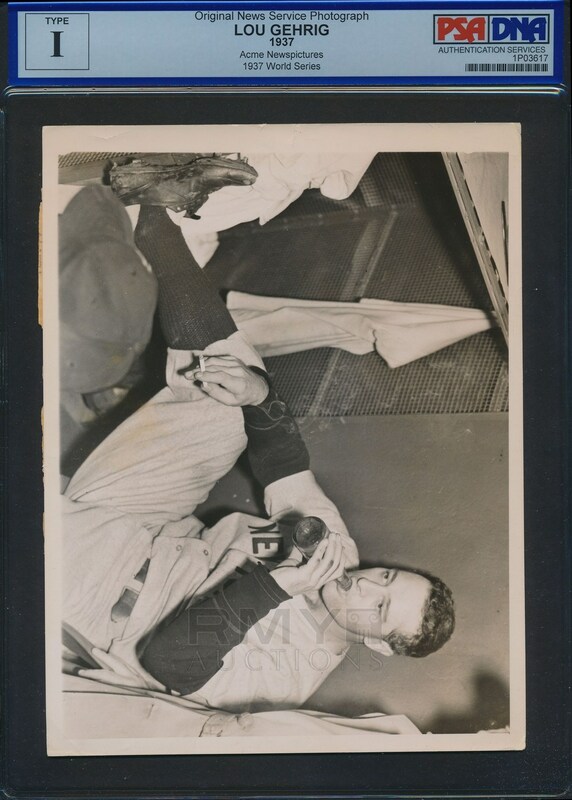 Sitting at his locker and taking a sip from a Beer, he has a lit cigarette in his other hand. His shoelaces are untied and he is in a relaxed position, but still in uniform. 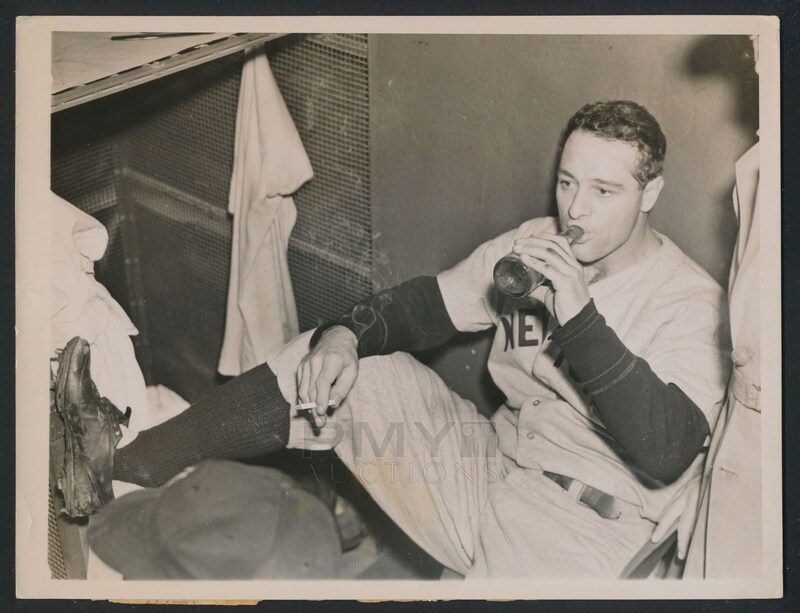 Images like this of Gehrig (who was a very private person) are almost non-existent with this being one of the best. Condition is nice with a small crease on the far left side and some mild corner wear. 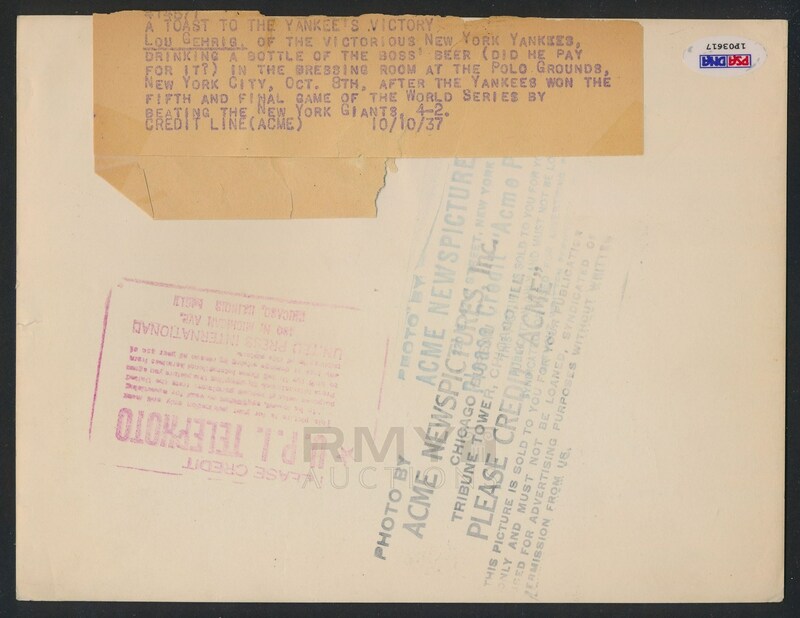 Issued by Acme and stamped on the back with a full paper caption, the only other example of this photo we know of sold for $1175 in our June 2014 auction. This example is already slabbed by PSA as a Type 1.